A banner is a graphic which can be found at the top of the web sites that normally display the company name and logo. It is often the first thing people see when they open the website. Blending colors should be attractive, informative, and comfortable to the eye and help to convince a visitor to stay on your site. 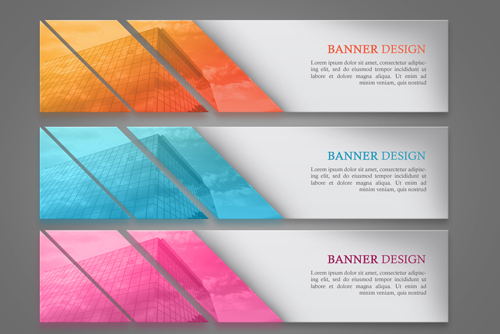 In this tutorial I will show you how to make a simple web banner design in Photoshop. Here I use a selection with the Polygonal Lasso Tool to cut it into three parts and put a picture in it. This tutorial is very simple and easy to follow for beginners can be made of material to learn. Please follow the step-by-step tutorial just click play and enjoy!